"That is the thing about the present, Emily Prime. You only appreciate it when it is the past." Prior to the first time I watched It's Such a Beautiful Day at the beginning of this year, I was only vaguely familiar with the work of Don Hertzfeldt and by that I mean, I knew he made films involving stick figures and that meant I obviously wouldn't be able to take them seriously. I couldn't ignore the praise though, the overwhelming amount of seemingly hyperbolic declarations about It's Such a Beautiful Day being a moving, thought provoking, brilliantly unique masterpiece. So I sat down and watched it. It's Such a Beautiful Day is a moving, thought provoking, brilliantly unique masterpiece. That assumed hyperbole? Not hyperbolic in the least. 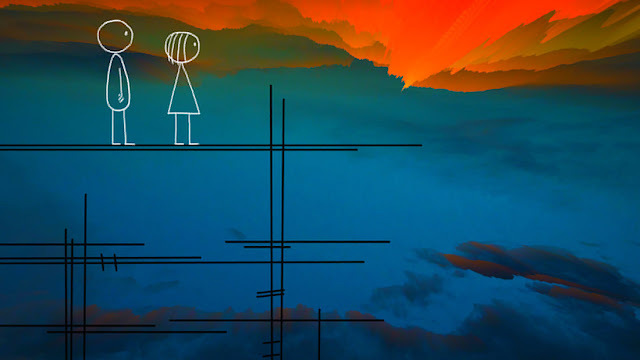 So when I heard about the new Hertzfeldt short film World of Tomorrow, I was so excited to see it but that flare of enthusiasm was tempered slightly when I noticed that the running time was only 16 minutes. Obviously I was aware this was a short film, but that is short. How could it be as good as everyone is saying? How could 16 minutes of stick figures be shooting to the top of many 2015 lists, surpassing great films literally eight times longer than it? How could such a limited narrative be considered so moving, thought provoking and brilliant? World of Tomorrow is moving, thought provoking and pretty damn brilliant. While the experience didn't quite match the euphoria I felt during It's Such a Beautiful Day, that very well could be more related to my personal expectations being so vastly different as I entered each screening. With that film I expected so little despite the praise, I had no idea what I was getting myself into, and then it hit me like a ton of bricks and I was awed by the imaginative genius of it all. 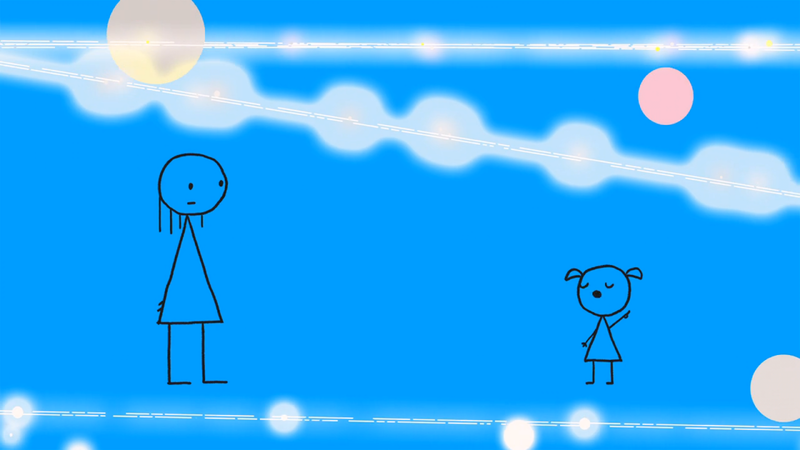 Here, I already knew what Hertzfeldt was capable of accomplishing inside his wonderfully weird and inspiring world of stick figures. 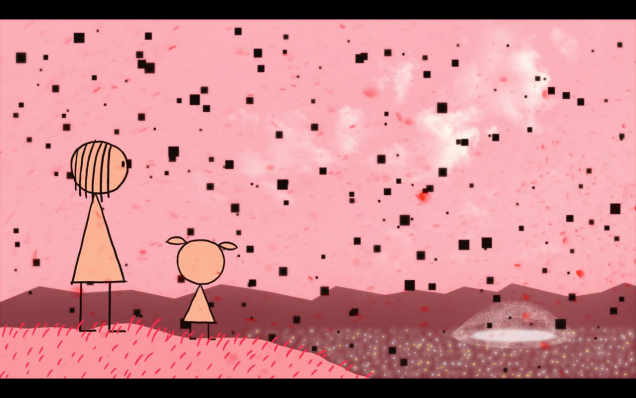 Where as It's Such a Beautiful Day was grounded by the devastating reality of a man named Bill, World of Tomorrow utilizes a science fiction approach to dazzle our senses for those brief 16 minutes. The storytelling is masterful in that in less time than an episode of a sitcom we are left thinking, hurting, and just the right amount of confused by this strange tale of a little girl named Emily being visited by a mysterious but familiar visitor. Films with nine digit budgets and 150 minutes to work with try so hard to accomplish what Hertzfelt manages to achieve in just 16, and rarely are they able to do so with a vision that lingers in our minds like his. Don't make the same mistake I did with these films and pass them by because of an assumption of silliness about storytelling with stick figures. Open your mind and allow the beauty of these stories in. You won't regret it.